Gardening is one of life’s great pleasures. The physical acts of digging, weeding, planting, and looking after plants are hugely paid back when we see blooming and growing the fruits of our efforts. Unfortunately, not everyone is lucky enough to have a garden or any outside space. Do not worry, there are many different solutions that allow you to decorate your home, balcony or terrace with plants and flowers, obtaining wonderful final results. Here are 35 small-scale projects divided up into four chapter: plants suitable for growing indoors, containers for outdoors, and edible planting, as well as those that are perfect for a small tabletop, either for a balcony or patio, or perhaps for a special occasion. Completed with a detailed list of useful tools, an illustrated section about the techniques and resources employed and the tips for aftercare and maintenance, this book is well-suited for novice gardeners; at the same time it provides inspiration for who wishes to create different planters and plant combinations. Let yourself to be seduced by the beauty of these tiny gardens: little ferns under glass domes, edible plants including blueberries and strawberries, bright flowers in vintage tins, and much more… you will discover that small nature wonders can bloom from a chipped teapot or the soil gathered in an old ladle! Emma Hardy is a keen gardener, with an RHS level 2 certificate in Horticulture. She has gardened on an allotment for several years, and is currently creating an urban garden with fruit, vegetables, and as many plants as it is possible to squeeze into a small space. She loves planning and creating gardens, but most of all she enjoys getting her hands dirty, and just pottering. Her previous titles published with #logosedizioni are 35 piccoli giardini. Idee e progetti per spazi ridotti and 35 piccoli giardini invernali. 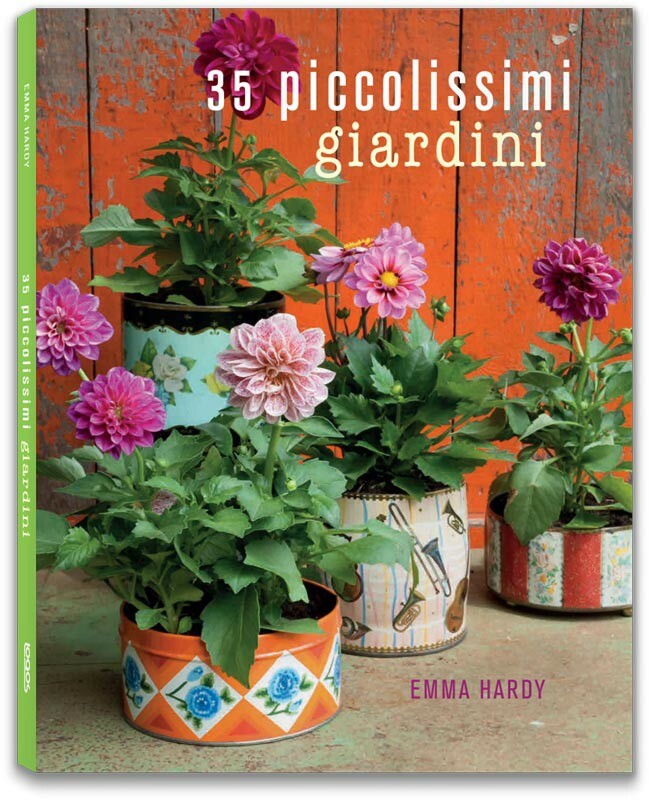 After 35 piccoli giardini and 35 piccoli giardini invernali (#logosedizioni, 2014 and 2015), the horticulture expert Emma Hardy strikes back with 35 new ideas to grow gorgeous mini-gardens. Conceived for those who have a green thumb but don’t own a garden, these projects feature step by step instructions, along with the wonderful photos by Debbie Patterson, and useful advices for implantation, care and maintenance. Browsing through this book, you’ll be amazed by the extraordinary creativity of the author Emma Hardy, both in matching different plants and in choosing unconventional containers. 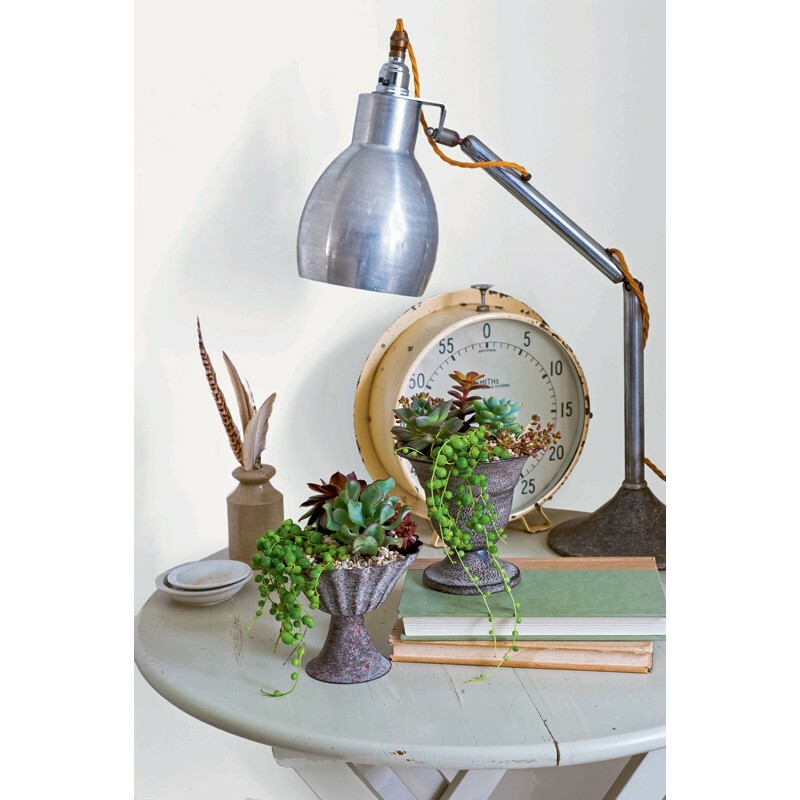 Succulents, spices, flowering plants, fruits and micro-vegetables, are matched on the basis of affinity or contrast, implanting lush and eclectic mini-gardens into cans, jars, chests, terrariums, ladles, and even shells. A light introduction about materials and techniques guides the reader through the choice and preparation of plants, containers and potting mixes (suggesting the most suitable in each case), providing a starting kit and precious tips about maintenance, fertilisers, pests removal, as well as diseases treatment and prevention. 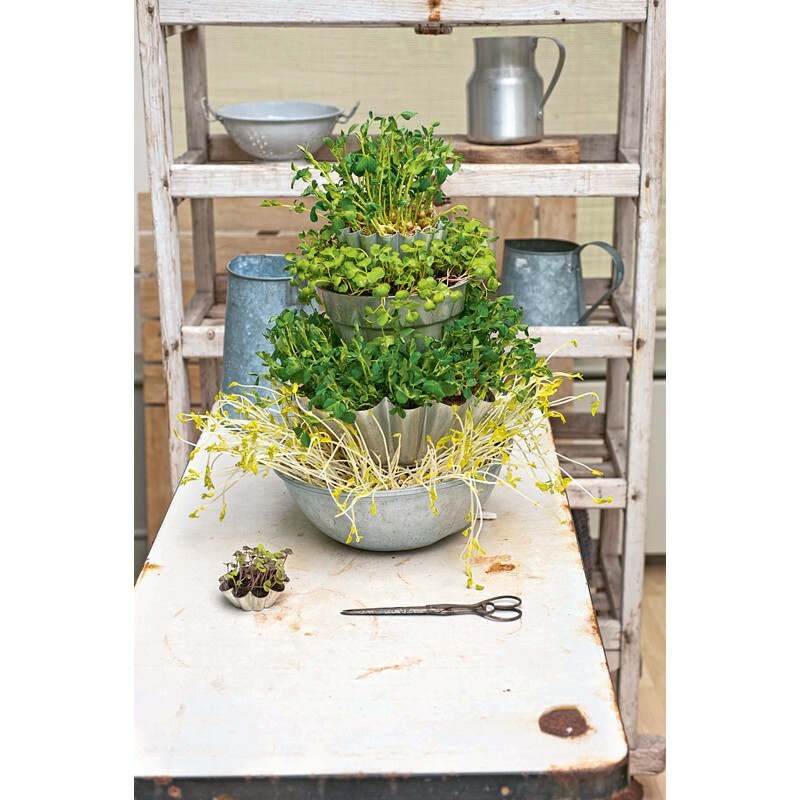 This handbook features 4 chapters, based on the type of plants: indoors, outdoors, edible and “centrepieces”. 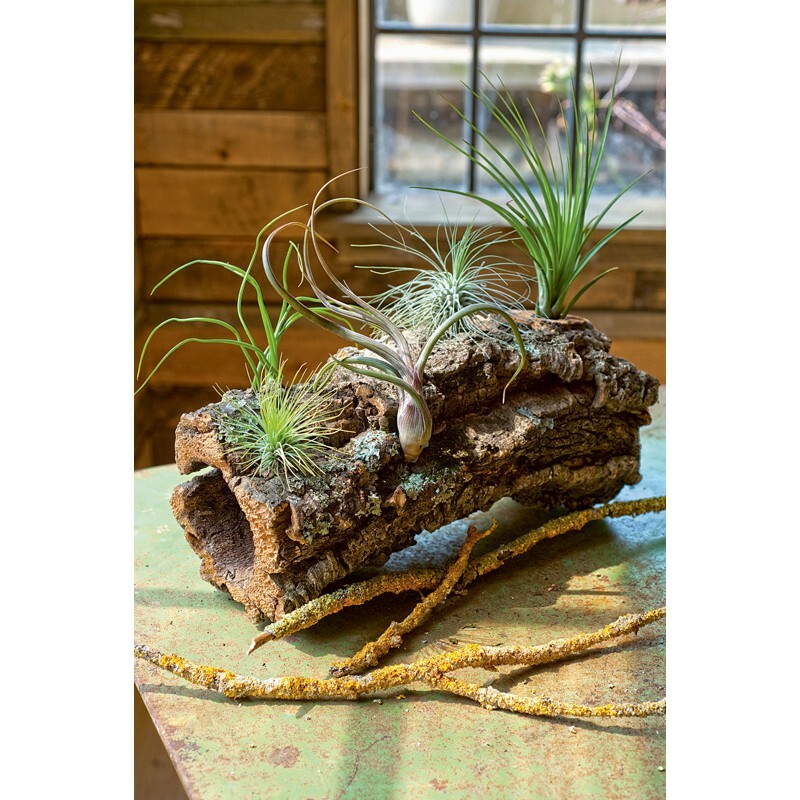 In the first chapter, “Da interni” (indoors), readers will discover how to grow aquatic plants in a jar or succulents in a can, how to create mini-terrariums or kokedamas with moss and orchids and plant tillandsias in the recesses of a stump. 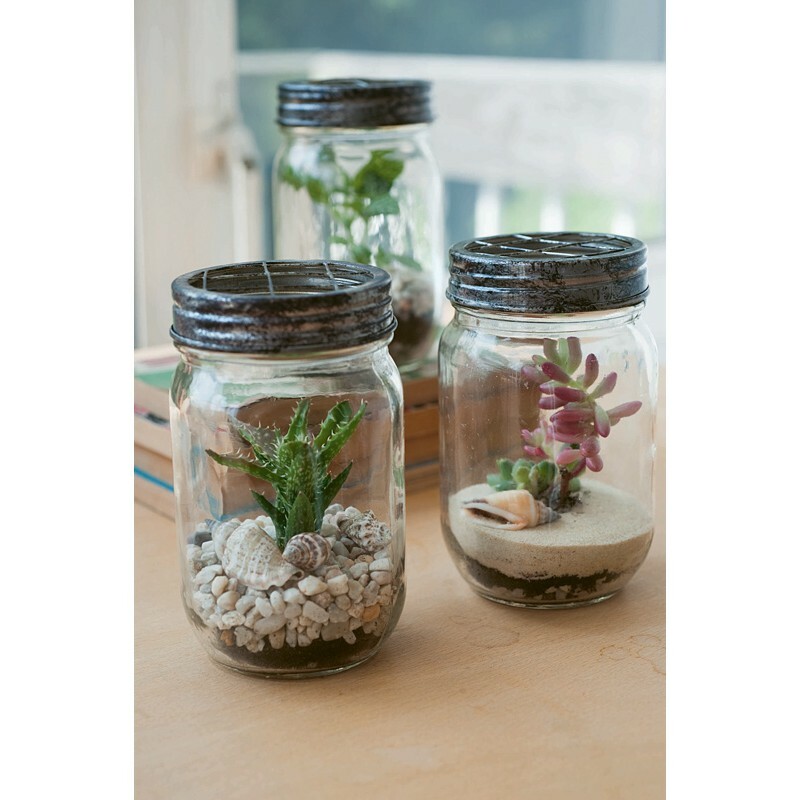 There’s no limit to imagination: even small urns or shells can be home to tiny succulents! The second chapter, “Da esterni” (outdoors), features graceful compositions to revive courtyards, balconies and terraces. 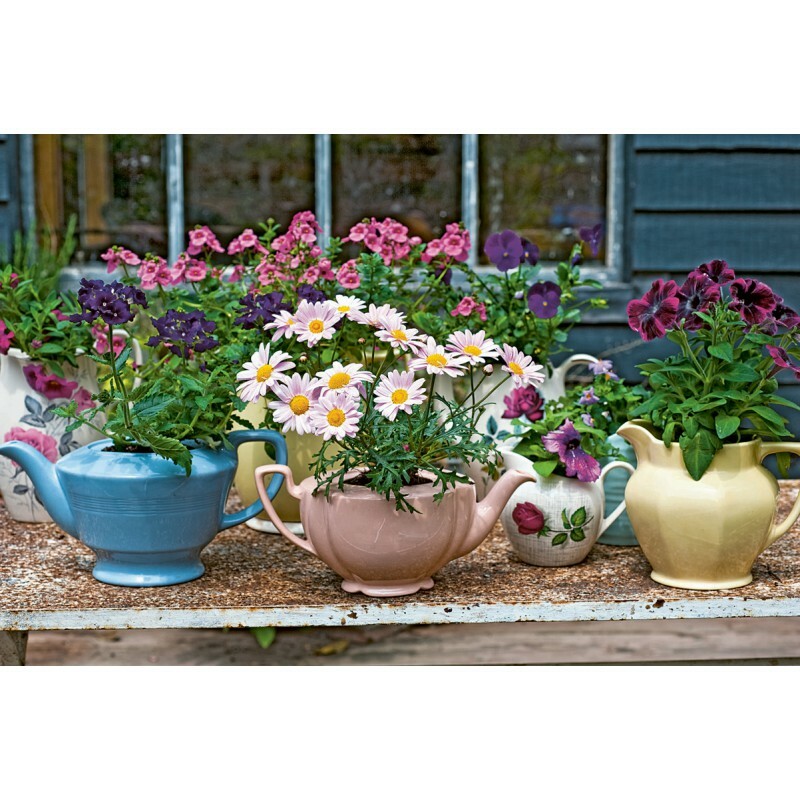 In these pages, you’ll see lush plants and colourful flowers bloom into tubs, chests, metal troughs and even pots, teapots and ladles… with a particular attention to chromatic matches and decorations. The third chapter, “Da raccogliere” (edibles), presents edible projects. A true feast, not just for the eyes! 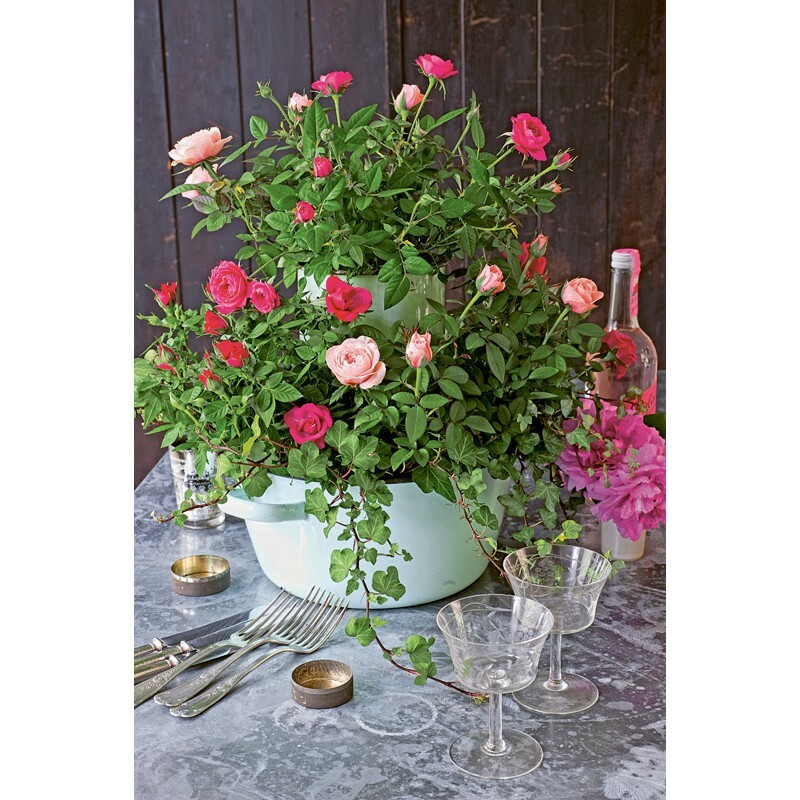 Blueberries, strawberries, salads and aromatic plants spring from the most diverse containers. With just four kitchen moulds or bowls of different sizes, you can build a micro-green tower you can pick from while cooking or having a snack. The fourth chapter, “Sul tavolo” (on the table), shows sparkling, colourful ideas to decorate tables and other pieces of furniture. The author arranges multicoloured, lightly shaded creations, including trailing flower cans, a lavish flower chandelier, and a tiny fairy garden, with a mini-chair and a micro-flowering arch. With an RHS second level certification in horticulture, Emma Hardy is specialised in the creation and maintenance of urban gardens in small places. The section “Risorse” (resources) includes her favourite suppliers. 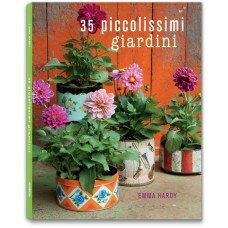 35 piccolissimi giardini is the perfect book for who doesn’t have much space, but still doesn’t want to give up the pleasure of gardening!